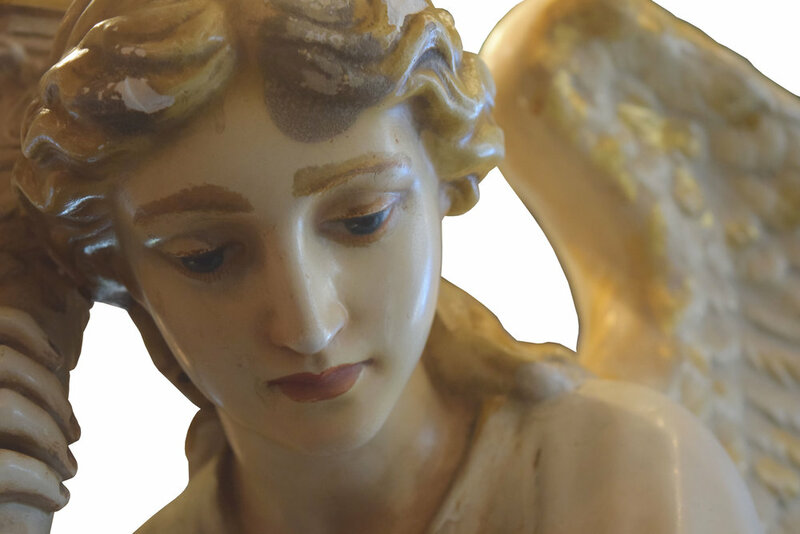 These stunning angel sculptures are sold as a pair. They were originally placed on an church altar, with one facing left and the other facing right. With their detailed facial features and sweeping wings, they are truly captivating works of art. 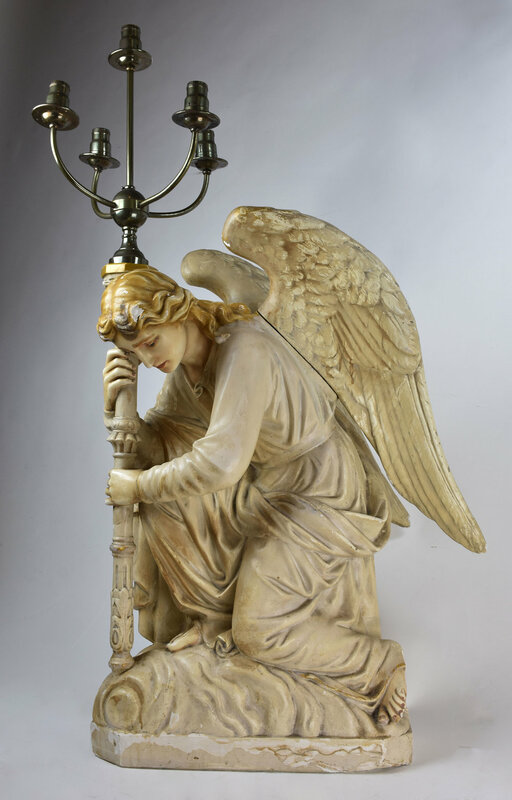 These angels were designed by Daprato Statuary Company in the 1910’s. 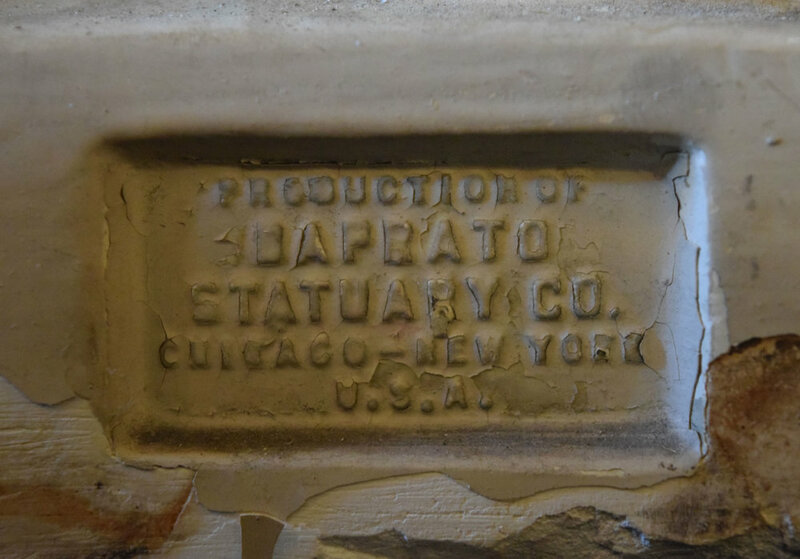 Daprato Statuary Company was founded in 1860 in Chicago by four brothers, who were statue-makers from Barga, Italy. 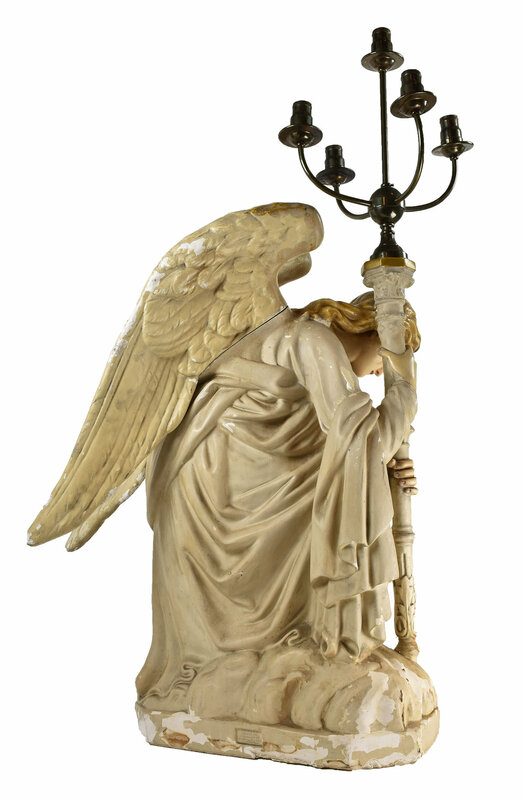 By the 1890’s, the company had grown to be a worldwide ecclesiastical art producer and distributor. Renamed Daprato Rigali Studios in the 1960’s, the company now manages complete church interior decorations. Be sure to include the Product ID (AA#48060) when making your offer.